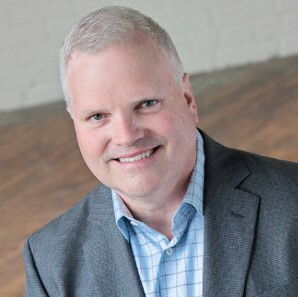 Tim Beals has been president of Credo Communications, a literary agency, and publisher of Credo House Publishers, an independent book publisher, since 2005. He has also been an adjunct professor of publishing, editing, and professional writing at Cornerstone University since 1989. Tim earned his undergraduate degree in English and philosophy at Cornerstone University and then began his publishing career as an editor at HarperCollins Christian Publishing in Grand Rapids, Michigan. He completed a master’s in professional writing from Western Michigan University and later earned his business degree at Notre Dame’s Mendoza School of Business. After 25 years of working for other publishers, large and small, Tim started his own companies in the service of authors and readers during a period of rapid change in the publishing industry. As president and publisher, Tim fills his days working closely with authors and publishers, bringing words to life. He also travels worldwide to meet with authors and encourage their craft. Tim is sometimes a coach, sometimes a critic, sometimes a counselor, but always a cheerleader. He believes that a book is less like a product—a thing—and more like a person—even a friend—the unique and irreplaceable offspring of an author’s heart, mind, and soul.